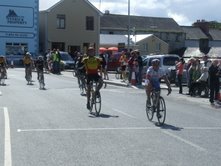 The 2007 season brought unparallelled success for Castlebar Cycling Club. Here are some pictures of two of our local stars in action. A full 2007 report as well as all Connaught Event Results will be made available shortly. Also, a synopsis of our 2008 programme will be made available.